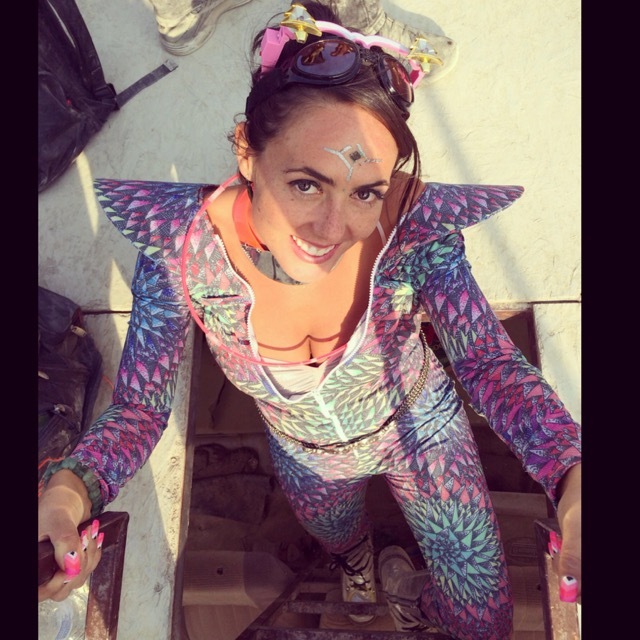 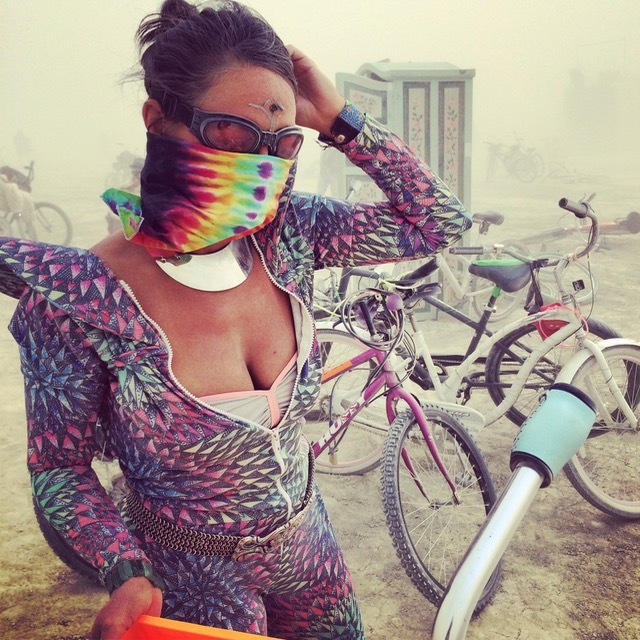 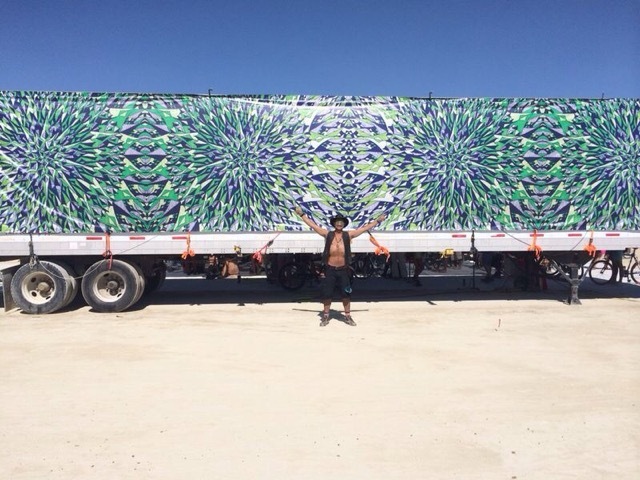 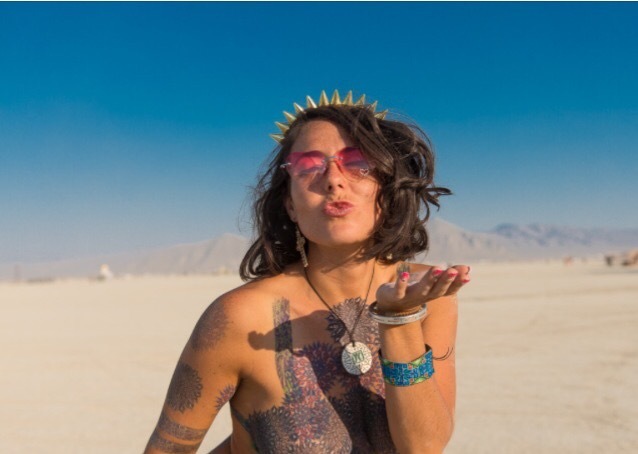 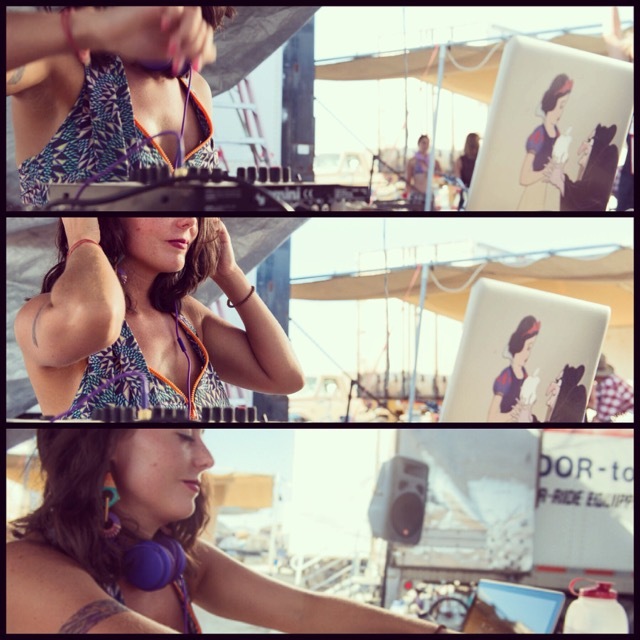 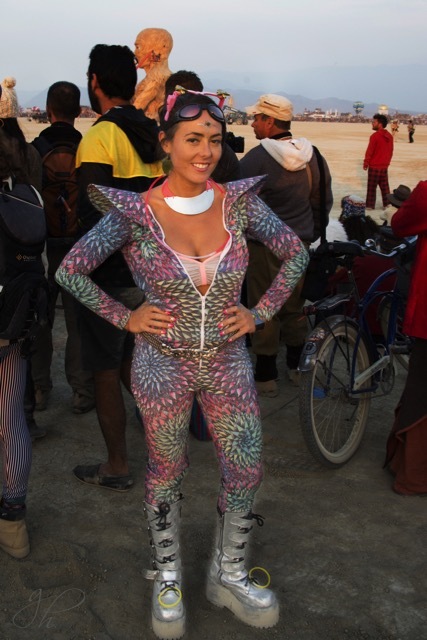 In 2014 I had the opportunity to go to BURNING MAN, a community / festival in the Nevada desert . 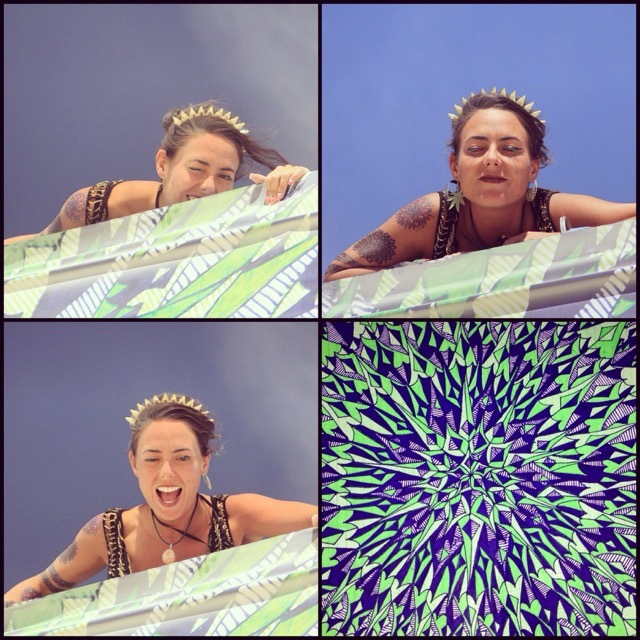 Encouraged by Loren , director of the camp where I stayed , I decided to make a little art project. 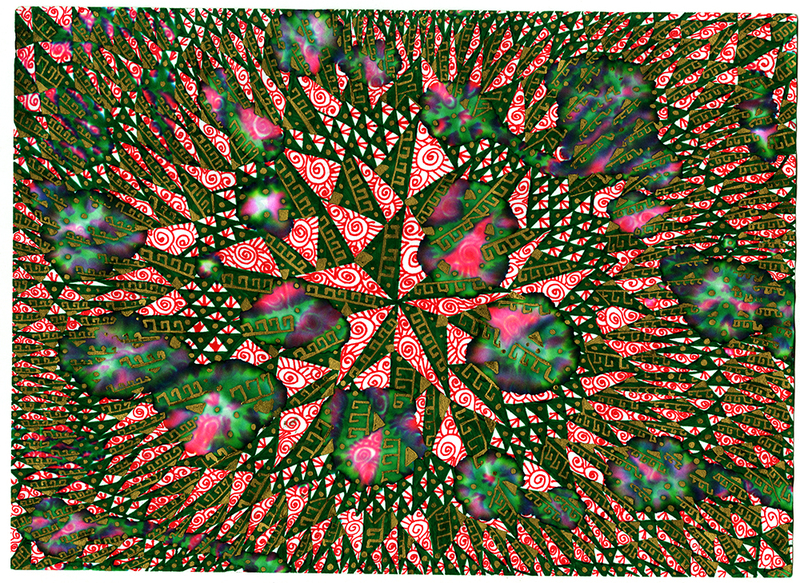 After drawing this green fractal, I digitalized it in HD , so I could grow it 200 times its size and wrap a huge truck. 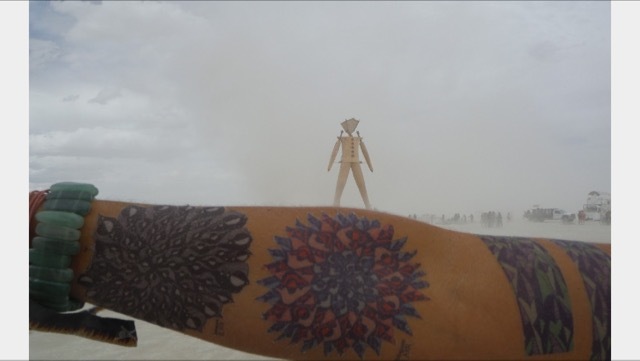 In Burningman everything works through exchange, which they rather call " gifting " I made some temporary tattoos with my fractals for this porpuse. 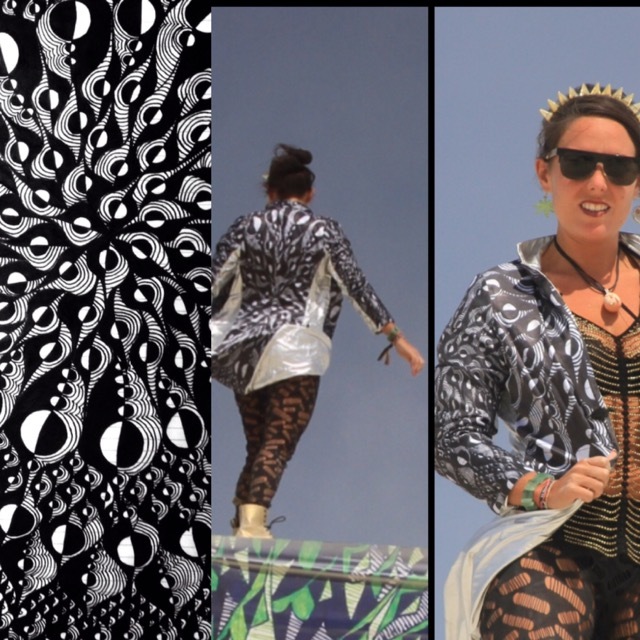 I also printed some fabrics and designed some clothes,which were given away to people I met during my stay in the desert. 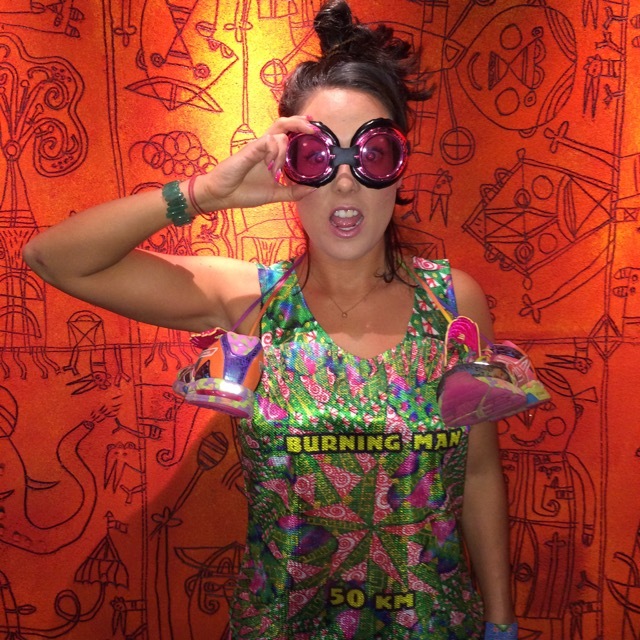 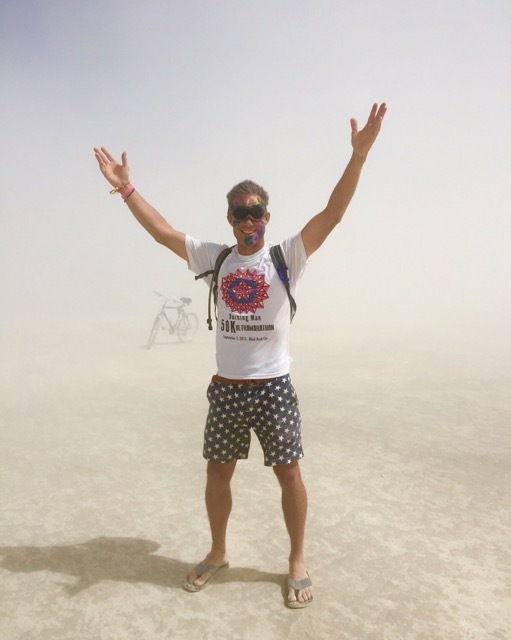 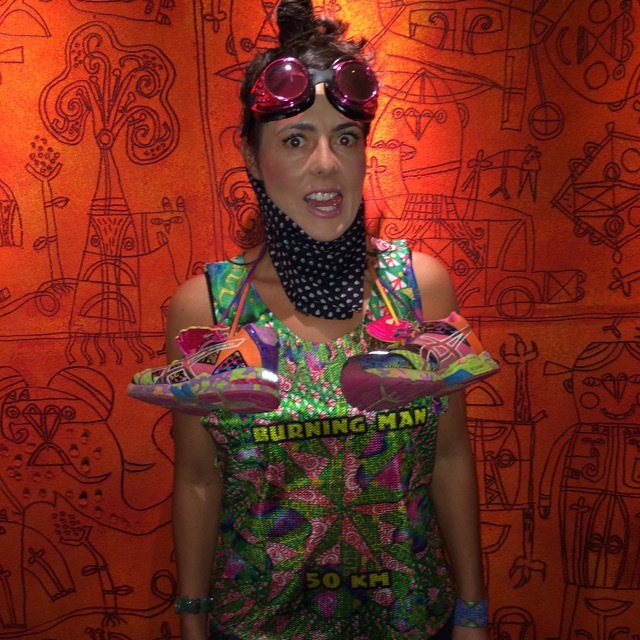 On my trip to the desert I also ran Burning Man's 50km ultramarathon. 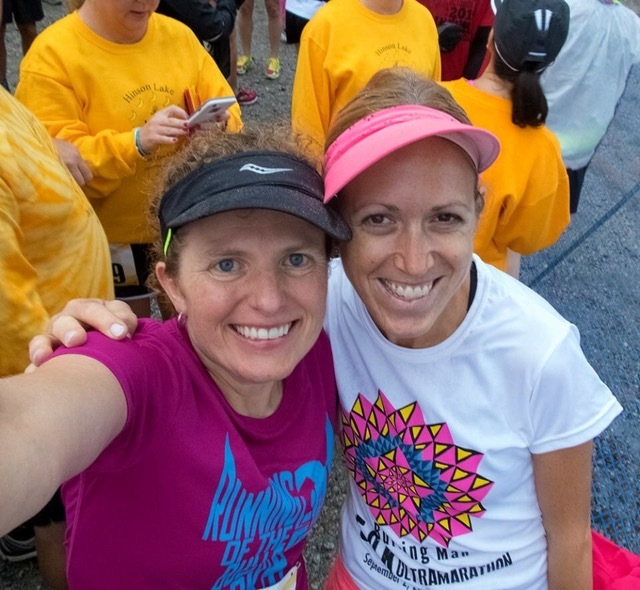 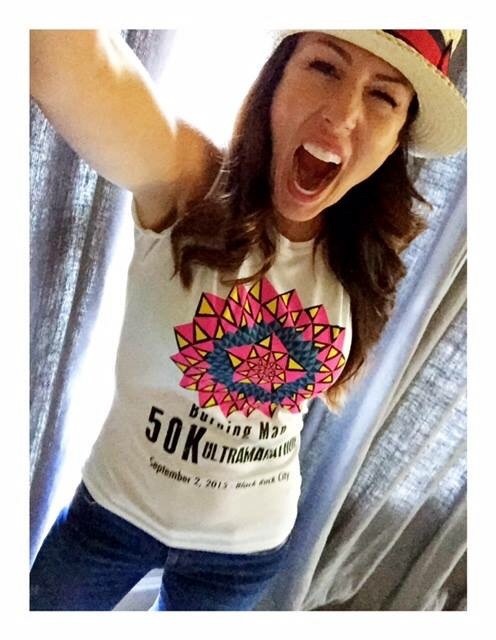 I made a Tshirt specially for the race and brought one for Cherie Yanek, the race director. 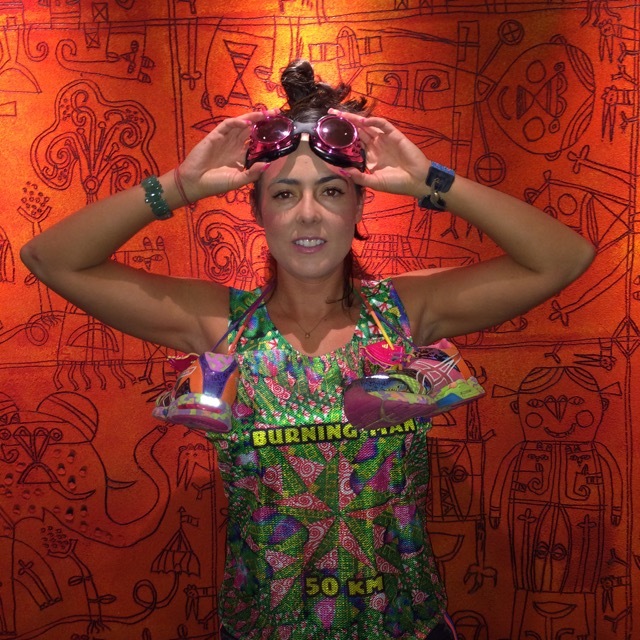 We became good friends and on a visit to Mexico she invited me to design the Tshirt for the following year. 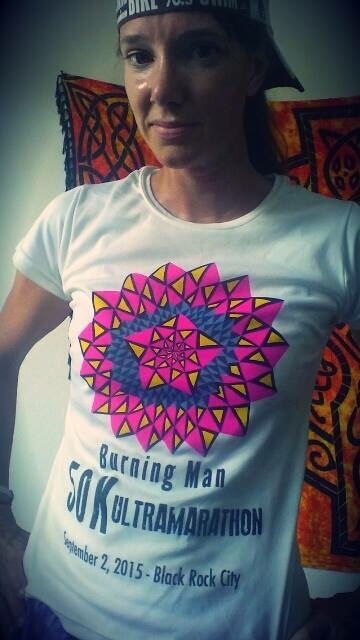 I used one of the fractals I did for a wall in my old studio (the one in the video after my homepage) as the main fractal for the Tshirt.